Let’s start with the theoretical. How should we characterize forgiveness, and when and why should we forgive people? 1. Waiving all just moral and/or legal penalties, including all forms of restitution and compensation, that we would normally demand for wrongdoing. 2. Restoring amicable emotional, social, and/or professional relations with someone who has done wrong. 3. Deciding to permit oneself no ill will towards someone who has done wrong. Sometimes we restore amicable dealings and release negative feelings only after someone has done the necessary moral restitution and/or compensation. When we do this, we give social and emotional forgiveness to the person but not to the action. The action has to be “worked off” in some way so that we will accept the person again. Sometimes we may not harbor ill will inside but will require restitution or compensatory gestures before social relations may resume, even if all we demand from the other is an apology. Sometimes we just let things go entirely and let people off for wrongdoing without so much as an apology because we think what they did was trivial or because we feel like their mistake was understandable either psychologically or in terms of their motives. In cases where a person does not do sufficient moral restitution or compensation for an action’s wrongness, and we take this as an indicator that this person is not emotionally, socially, or professionally acceptable, we refuse to forgive. Sometimes an action may be worked off but it may be so heinous or the person’s attitude so unrepentant that we nonetheless refuse to forgive them fully as people and so only partially readmit them into normal relations with us, or we go so far as to cut off all relations with them. An apology may be made in addition to restitution and compensation or in lieu of it. What are we doing when we accept an apology? Ultimately we are either readmitting this person into normal emotional, social, and professional relationships, and/or we are agreeing not to hold personal negative feelings towards this person. In addition to working off their wrong action, they still need to specifically offer an apology because they need to indicate to us that they do not approve of the sort of action they did. This is necessary if we are to emotionally, socially, and professionally trust them. They need to make it clear (a) that mentally they understand what kinds of actions are consistent with a trustworthy character and which kinds are not, (b) that it pains them to have failed us by being untrustworthy, and (c) that in light of what they think and what they feel, they have reliably resolved to be more trustworthy to us in the future. Making an apology is tricky business for several reasons. One is that we are not always completely in the wrong, even when we have to apologize for part of our behavior. In those cases we must make abundantly clear what we are apologizing for and what we are not apologizing for. Also, in making apologies, we are not just explaining that we understand what we did was wrong but we are petitioning for future trust. Being emotionally, socially, and professionally forgiven based on our apology means that we will regain the good will and trust of those we have harmed in the future. To demonstrate that we deserve this when our action indicates we do not, it is important that we demonstrate (if we can) the general goodness of our character, our values, and our intentions, and give a reasonable account of how our bad action was an accident, was based on misunderstanding or remediable ignorance, or was out of character in some psychologically understandable way. In order to properly apologize, we have to take responsibility and express sincere remorse, but we do not have to grovel or accept the worst interpretation of who we are, what our motives were, or what our action was. In fact, sometimes—and especially when dealing with a general public that does not know us well personally—we have to explain why we should be trusted in the future, by giving a narrative of the past that explains how a good person could make the mistake we made and how that same good person could be expected not to make it again, in light of the regrettable consequences that it led to. In such cases, I am often more sympathetic than most to some “not-pologies” that people make as long as they take genuine responsibility for the harms they caused. I understand they are trying to push back against attempts to demonize them. I understand that they are explaining to us how they have a character, values, and intentions, which are not hopelessly malignant but which deserve to be generally trusted in the future, despite their mistake. They are explaining not only why they were wrong but why they deserve forgiveness in the sense of readmittance into normal trusting emotional, social, and professional relationships. I mistrust those who want to utterly demoralize those who are caught in wrongdoing, rather than understand their wrongdoing and let them take responsibility for it in a way that preserves their dignity and their right to defend their own character. I do not like the impulse to relentlessly shame and humiliate another person until they grovel. Now sometimes a wrong action can be traced to a genuine flaw in the wrongdoer’s general character, values, and intentions, and not just to circumstances or to understandable and easily remediable ignorance. To forgive someone in that position, they need to not only explain the circumstances but need to show they understand what the flaws in their character, values, or intentions were or a willingness to figure out what they were if they do not honestly know yet. And forgiving them in a wise manner means demanding of them a resolve to conscientiously educate themselves and to scrupulously examine and improve their basic behaviors, attitudes, and motivations. Last weekend, atheists’ civil rights were violated by Andy Drennen. He put up a sign at his business that refused admission to attendees of Skepticon 4 because he found a satire of Christianity offensive and decided to “take matters into his own hands and let people know how he felt” about it. Essentially, the way he felt was that those who satirize Christianity should be shunned and denied access to businesses otherwise open to the public. Drennen was standing up and sending a message. Effectively that message was “speak out harshly against our religion and businesses owned by Christians will refuse to do business with you”. And who knows what atheists should infer comes next? Christian landlords might refuse to rent apartments to you? Maybe Christian employers will refuse to hire you? Drennen’s actions were illegal and a violation of our civil rights. Even in his apology he has not fully acknowledged this. He claims that no one was turned away from the store since he took down the sign after only 10 minutes. But for ten minutes anyone from Skepticon who saw the sign (including whoever took the picture of the sign) was turned away by the sign, even if they never came inside and forced him to turn them away face to face. Whether or not he is sorry, he broke the law. Whether or not he took down the sign after 10 minutes, he broke the law. And not only did he break the law but he did so in the same way that bus and billboard companies all over America and the UK have tried to when they have discriminated against atheist advertisements while accommodating religious ones. Drennen’s bigotry and his reaction that Christians have the right to enforce deference to their faith by denying atheists access to public space for advertising or public businesses for patronizing is a manifestation of a widespread attitude of religious privilege that assumes atheists may be discriminated against for the sake of protecting religious feeling. This is the assumption shared by Drennen and the owners of who knows how many other businesses in America. Atheists do very little that involves cooperation from businesses and look at how much explicit hostility we get from the few businesses that we do come in contact with for the purposes of advertising our ideas or running our events. Now we come to Andy’s first apology. What does it tell us about what he thought he had done that was wrong? To the Public: I sincerely apologize for the posting of the note in the window. It was an impulse reaction to an event that I witnessed and it was only up for a few minutes before I came to my senses and realized it shouldn’t have been up at all. So you know, nobody was turned away and everyone was given the same high level of service they have come to expect. Out of the hundreds of event attendees that I served on Friday and Saturday, all of them were extremely polite and enjoyed their time in my restaurant. The event that greatly offended me was conducted by one man and I shouldn’t have reacted the way I did. Even small business owners make mistakes, and I sincerely apologize to those whom I offended. Basically his justification for taking down the sign was that he should not have punished all of the convention goers for the actions of one offensive person. That still leaves open the question of whether or not he grasps that he should not discriminate against the offensive performer either. 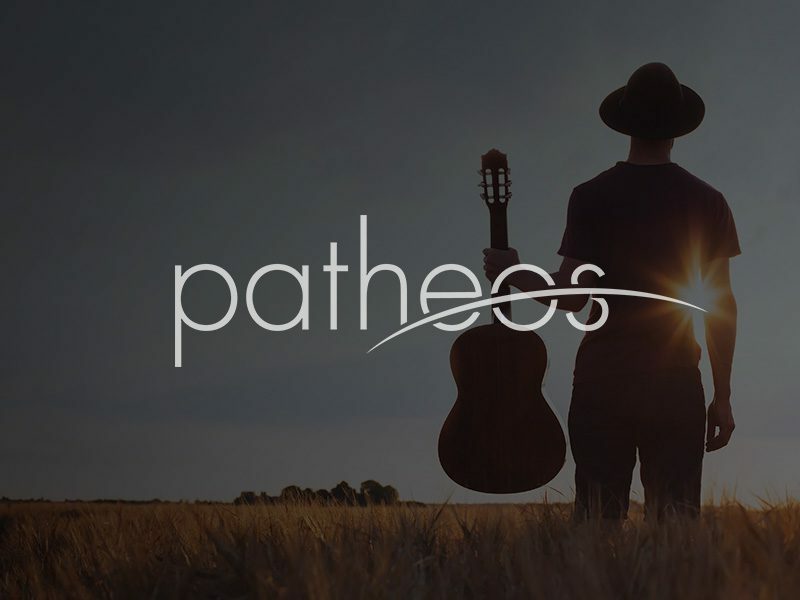 If all businesses run by Christians start asking Sam Singleton, the performer who was satirizing Christian revivalists, to leave their place of business, this would be an attack on the freedom of speech of all atheists meant to intimidate all other atheists into not expressing their views so harshly. His lengthier, follow up apology throws himself on the mercy of atheists and begs for forgiveness and offers a 10% discount to everyone who comes to his store for a week. JT thinks greater sincerity would be shown if he donated 10% of his gross for a month to an atheist charity. JT reasons that this would be a less doubtable gesture of remorse than simply another promotional discount for his business in reply to a PR disaster would be. Essentially, JT requires a compensatory action for a harmful discriminatory action if Drennen is to be forgiven. Without such an action, JT is reasoning that Drennen’s words are indistinguishable from mere damage control after he got caught, very publicly, violating people’s civil rights. Drennen’s trustworthiness is what needs to be established for interpersonal forgiveness, so I think JT is being reasonable. People are not entitled to automatic forgiveness just for profusely saying words of apology. It is not always rude and self-righteous to demand they demonstrate in actions that they deserve to be treated like a trustworthy friend and not an untrustworthy enemy. If Drennen refused to do anything that was actually costly to his bottom line, then violating civil rights is not as bad to him as losing money. Neither our dignity nor our good will is worth what’s in his wallet. We could just take his words as indicating that he understands what he did was wrong and that he has a character which is trustworthy to us. As I explained, I’m open to so-called “not-pologies” insofar as I think that, if they are honest, we can learn from them how someone’s actions are not indicative of their overall character. So, I do not dismiss him merely for explaining how he wound up putting up the discriminatory sign in the first place. In the second apology he was clear that he did not intend to excuse the sign but to explain how this bullying behavior on his part was out of character and only a response to an offending provocation. My problem is that he continues, even in the second apology, to think of someone mocking his beliefs as an understandable cause for angry offense that we should hear out and identify with—even if we are not to take it as justification for what he did afterwards. I don’t think that that is the appropriate response to criticism, including satirization. That’s Drennen’s root character flaw to me. It’s not just an issue of what he did with his angry offense, it was that he was so angrily offended, ill-humored, and un-self-critical in the face of a challenge. It is the angry offense of religious believers at even simple expressions of atheism, let alone at irreverent treatments of spurious religious figures like revivalists, that is the root problem. This is what was exposed in Drennen. He got it, after a short period, that his civil rights denying behaviors were terrible for business and were unfair to the plenty of pleasant atheists he encountered all weekend. But does he get it that angry offense is not the right attitude to have when your beliefs, leaders, and institutions are criticized or brutally satirzied? Because that open-minded, self-critical attitude is what atheists need from religious people if we are going to be free to speak our minds as liberally as they do and not feel so much social pressure to keep quiet for religious people’s sake. This is not a legal issue, of course, it is a moral one. Legally, Drennen can feel free to get offended and get angry when he sees expressions of defiant godlessness (though legally, he cannot discriminate against irreligious customers). But morally, why should I consider him a friend to atheists if he gets so angry and offended that we are defiantly godless? Because he offered me 10% off to come to his store and buy ice cream from him? His explanation of how offended he was has led some skeptics and atheists to criticize other atheists for speaking out. So now he has inadvertently through his apology itself encouraged some atheists to be shyer about expressing what they really think, to avoid satire that can be misunderstood, and to bemoan the mixing of skeptical activities with explicitly atheistic ones. I share PZ’s righteous anger at this cowardly response from those he calls “fair weather atheists and sunshine skeptics”. So, Drennen is not a friend to atheists yet. He has not renounced his attitude of angry offense, only the bigoted actions that sprang from it. He has not admitted that his angry offense was illegitimate or analyzed the ways that it manifested a spirit of religious privilege which is widespread in the culture. Don’t get me wrong, he has a legal right to be offended by whatever he dislikes. He has a legal and a moral right to disagree with whatever he finds wrong. But morally, I think he is wrong to respond with anger and offense to sincere intellectual or artistic challenge. And I think we can see that he has harmed atheists twice—first by violating our civil rights by declining us access to his business for ten minutes on grounds of our defiant godlessness and second, now, by reinforcing the message to cowardly atheists that if we speak up or engage in satire, it is reasonable grounds for religious people to get offended. I can forgive the civil rights violation. I’m not going to clamor for lawsuits or anything. I think JT’s right that Drennen’s behavior so far is indistinguishable from damage control and that a financial donation to atheist charities would be a clearer expression of remorse and look less like a business promotion. But I don’t even require that to forgive him emotionally. What I require from him before I think of him as a friend to atheists, and not as a symbol of American religious privilege, is that he acknowledge that getting personally angry or personally offended by impersonal criticism, including satire, of institutions and beliefs is antithetical to the free expression and constructive discussion of beliefs. Of course, I have made quite clear in the past how much I am against genuine personal abuse towards anyone, including religious believers. I have written a lot about how much I think that careless, false, demonizing, and bullying rhetoric that does things like call all religious people stupid and evil is also quite destructive to the discourse. There are times atheists write things that offend me as an ethical human being and a rationalist. And I have gotten justifiably offended by religious people’s intemperate expression too. Just recently when William Lane Craig implied that intellectually driven deconversions (like mine) were really the result of sinfulness, I pushed back against his false, trivializing bullying that belittles my experience and unconscionably tries to shame conscientious doubters into staying in the faith with a lie that there is something sinful about them. But when South Park use a great deal of intelligence and wit to satirize atheists like me I laugh, and I look for what I might have to learn from them. Because it isn’t personal and it isn’t bullying and it isn’t vilifying me or trivializing my deepest moral and intellectual choices in life. It is satire. And the world would be a worse place without it. And my atheism would be a worse and more fundamentalist kind if I was unable to deal with it with an open mind but instead reacted in offended anger. If Drennen gets this point and wants to work on responding to challenging ideas and satirizations with thought rather than knee-jerk, closed-minded offense, he can make clear that it was not the satirist Sam Singleton’s fault he got offended. He needs to apologize not only for his actions but for his poor attitudes that led to them and acknowledge they need changing. If he does that, I will consider things entirely copacetic with him. By denouncing the religious privilege to get angrily offended whenever anyone merely dares to defy your religion’s supposed sanctity, he will be a true friend to atheists.